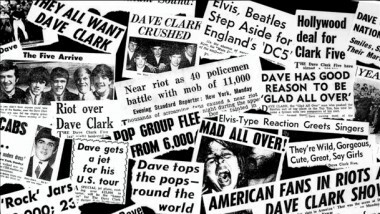 From magazine headlines touting “Beatles vs. Dave Clark Five” to school girls debating who were better-looking, The Dave Clark Five and The Beatles were made out to be rivals by both the media and music enthusiasts, but the bands never saw themselves as such. “We weren’t really worried because they were different,” says Paul McCartney today about the Dave Clark Five. Bruce Springsteen, Steven Van Zandt and Twiggy recall the days that they debated the merits of the two great bands.